I have many hats, but none compares to the Storyteller’s hat. It seemed to store stories in its castle. There was even a draw bridge on the front. The storyteller’s name is Wisha Granty. Storytelling is her part-time gig. She is also a fairy godmother and a pirate named Captain Rowdy. 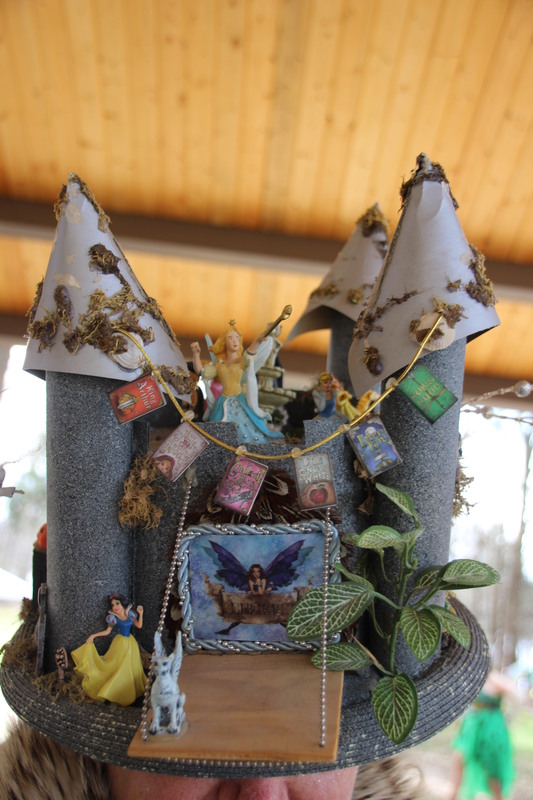 I met her at the Fairy House Festival at Latta Plantation. I did not get to stay for her stories, but her hat told some tales of its own. It seems that Bugs Bunny is friends with Tinkerbell who flies with dragons when Peter is elsewhere. 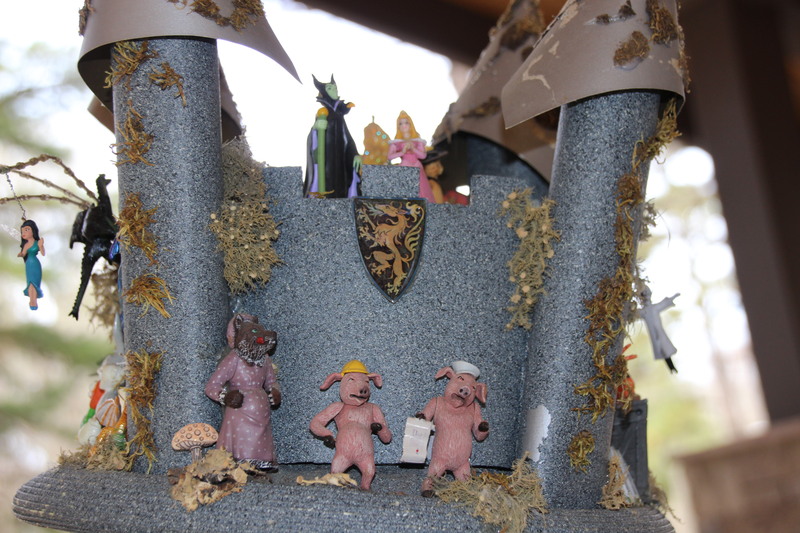 The Red Ridinghood wolf is the supervisor over the Two(oops) Little Pigs. Snow White is a security guard who works with a gargoyle to guard the drawbridge. 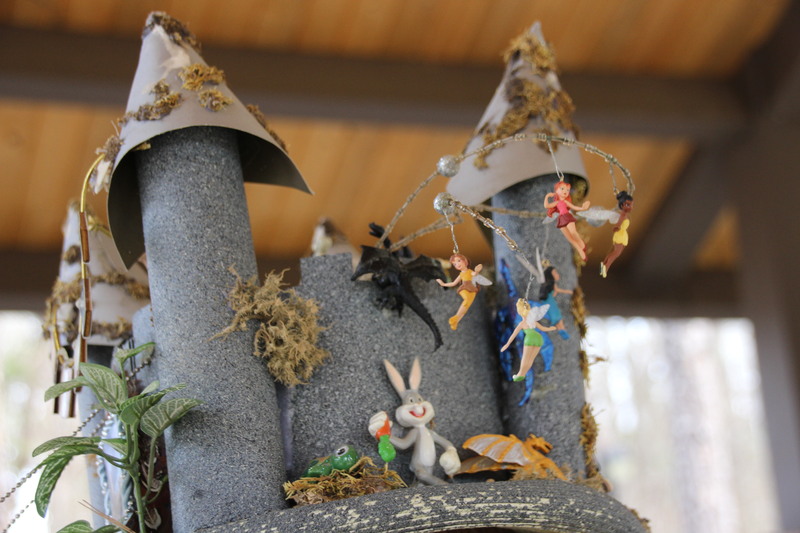 The wicked witch does advising atop the castle, coaching princesses to be more assertive. The hat even had a Halloween side with a Jack-o-lantern, graves stones a ghost, and some gargoyles. I sensed some dark magic coming from this side of the hat. The hat was so full of magic I was afraid to touch it. 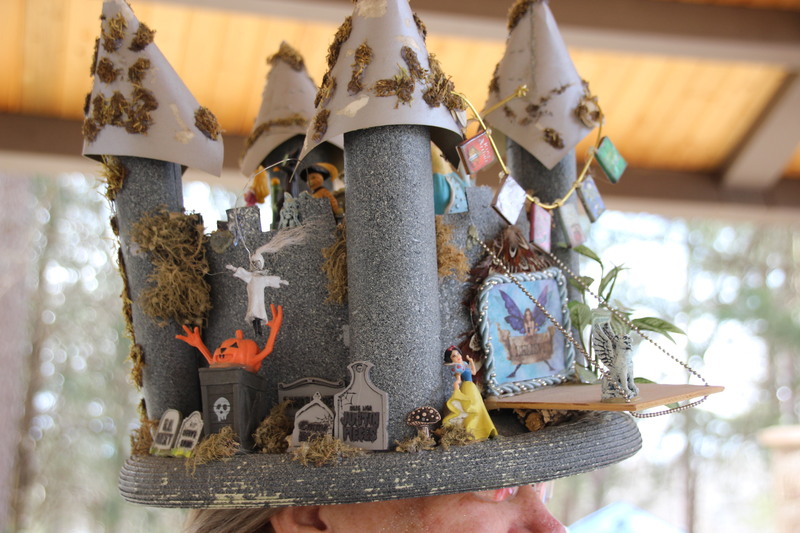 Wisha Granty must be one heck of a storyteller and godmother if she owns a hat like that. It was nothing short of a work of art. Wisha had a hat like that. What a fun hat! The last time i saw a cool hat was at our local tomato festival where a volunteer had on a beautiful tomato garden hat! I also went to the San Francisco Museum to see Degas’s Hats and Millinery Trade paintings and display of over the top crazy hats that people actually wore! It was a fascinating exhibition. Your post brought back fond memories of hats I have seen and the fun of them. Thanks for sharing. Thank you for your enthusiasm. I always appreciate your comments. Glad I could bring back some good memories for you. Yes, Wisha Granty wears the hat of an accomplished storyteller. She also has words of magic, spinning yarns for the delight of all ages. 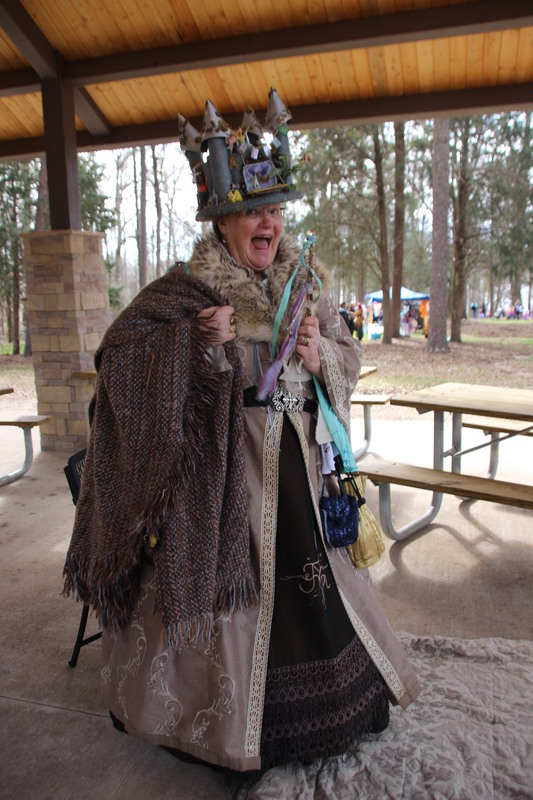 Whether she is a royal lady at a Renaissance festival, at the coast with a clan of pirates, at an October campfire with tales of ghostly matters, or atttending a social with a group of fairies, she is a most welcome delight!7! You sound like you know this magical person. Thanks for the comment. Some families worked together. It was really fun to watch.